View of the Liverpool Metropolitan cathedral from the Wirral. 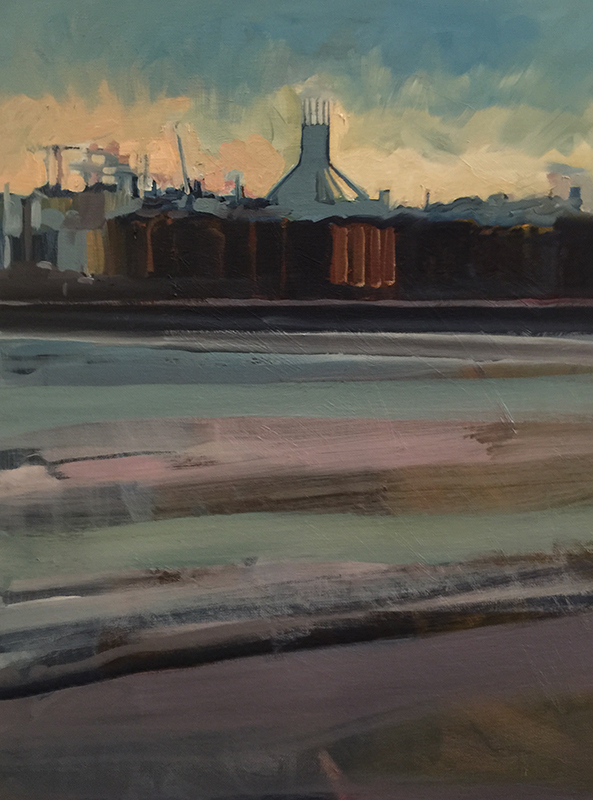 Click on thumbnails below to view further Liverpool paintings from Dominic Burkhalter. Please e-mail Dom Burkhalter (domburkhalter@me.com) to check on price and availability of paintings.